The Sculpted Trumpet is a recital concept featuring electro-acoustic multimedia works for the double-bell trumpet. I developed the recital in 2017 in collaboration with several composers and with support from funding bodies in Germany and Australia. The premiere performance was in Berlin in October 2017, with subsequent performances in Perth (Tura New Music Totally Huge New Music Festival), Sydney (La La La concert series), Melbourne, Berlin (Unerhörte Musik), and Bern, Switzerland (IGNM). The composers involved included Ann Cleare, Liza Lim, Cat Hope, Martin Hiendl, Sarah Nemtsov, and myself, and the instruments involved were the double-bell trumpet, quarter-tone Flugelhorn, and regular Bb trumpet. This piece takes the idea of placing an audience in an environment inside the instrument to an extreme degree. 4 lavalier microphones are placed on the double-bell trumpet in places where air can rush out and articulation sounds are picked up. The microphones are never muted, but these outlets can be switched on or off or I can make combinations of any of the 4 outlets. Very delicate sounds are amplified into significant events with speakers surrounding the audience. 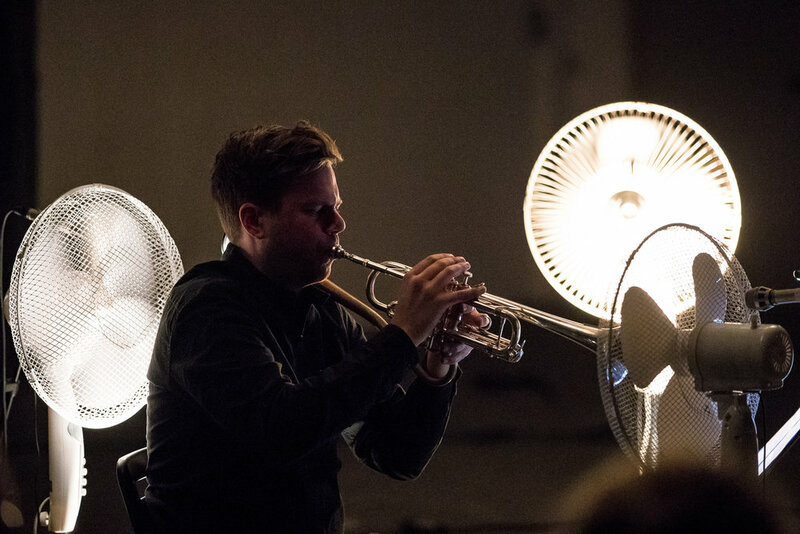 Manually controlling the spatialisation through whichever air outlet I activated was like learning a new musical language, and turning the trumpet into a kind of ‘controller’ was an important process of re-examining the capacity of my instrument. To have control over the direction of the sound’s movement puts me in a powerful position with the audience, and I have become very daring with creating an intense experience for listeners. 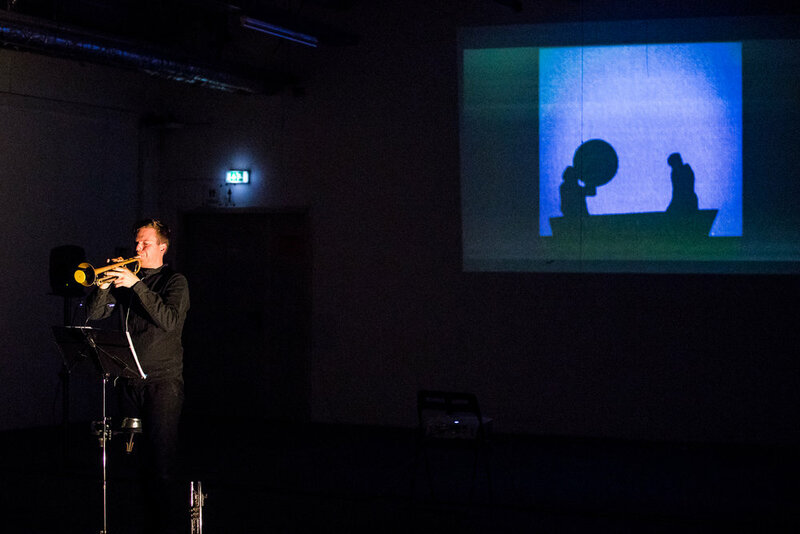 I’ve performed versions of this piece that utilise spoken text through the instrument and improvisation with feedback, and I am growing with this piece, uncovering new ways to create an intimate and somewhat threatening presence with this meta-instrument.